Woo! 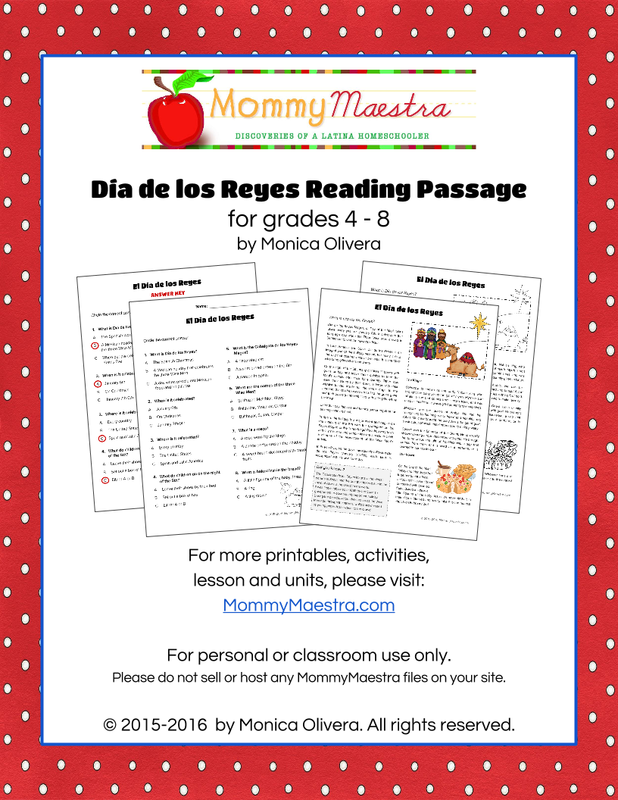 Día de los Reyes is only a couple of days away. And to celebrate, I have some new resources available in my TpT shop! 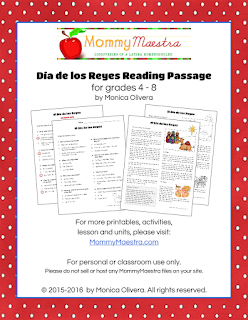 First, my Día de los Reyes Reading Passage is a one-page summary of the holiday. Available in full color or black-and-white, this informational text is written for students in 4th - 8th grade and includes an 8-question comprehension quiz plus answer key. It is in English only at this time. The second (and my actual favorite!) 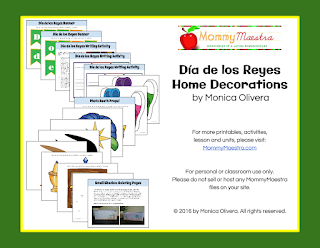 is this set of decorations for celebrating Día de los Reyes! This packet comes with a festive banner to print and hang, photo booth props (so fun! ), a writing activity where your kids write a letter and stick it into a printed shoe (see image at top), and shoebox decorating sheets for those who put out a box of grass for the camels. Each sheet contains a different scene. 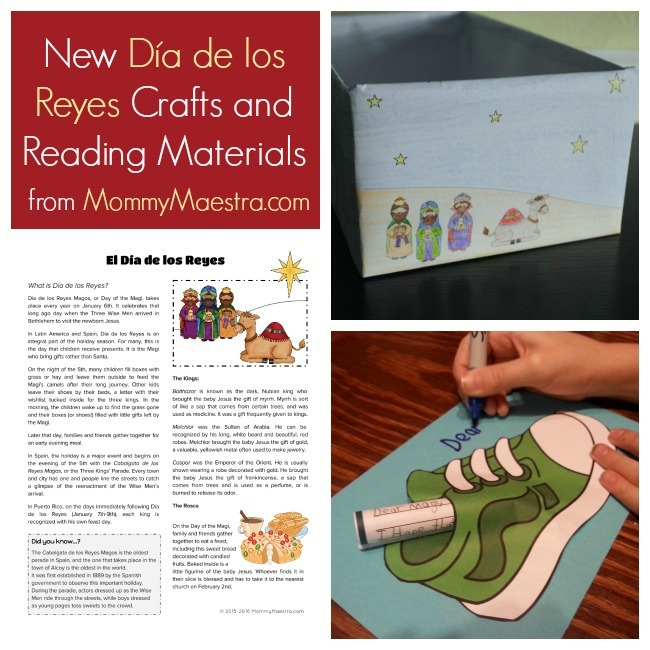 And don't forget you can still find my Bilingual Minibook of Día de los Reyes - now updated with three minibooks (bilingual, English only, and Spanish only) - in my shop. 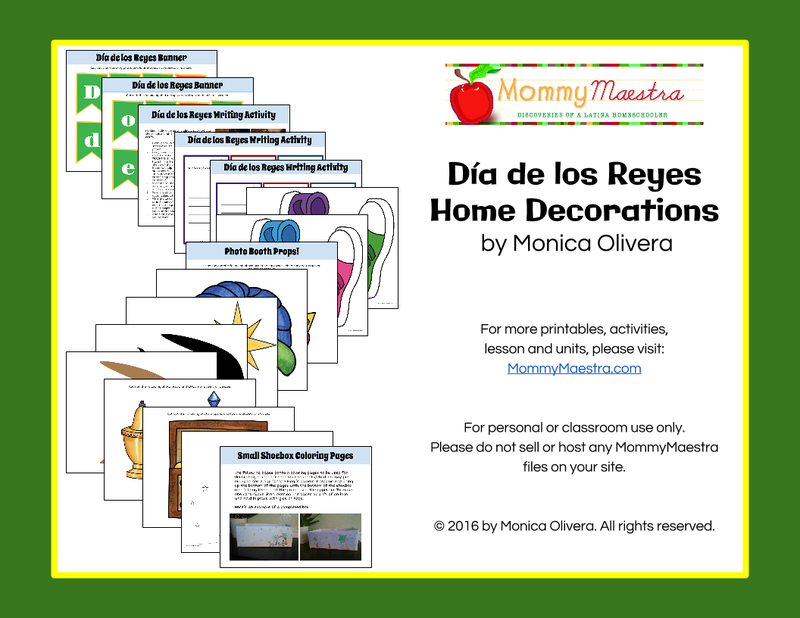 For free Reyes printables, check out my letter to los Reyes Magos and my Reyes Activity Sheet (both in Spanish and English) for little ones.